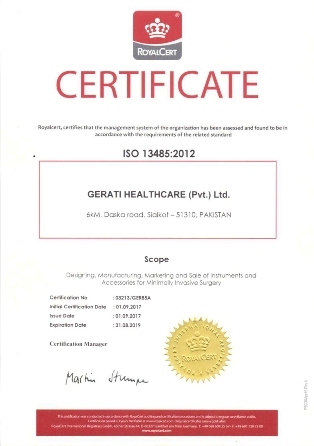 Gerati Healthcare designs, develops and markets instruments and solutions for minimally invasive surgery and enjoy market leadership because of our clear and deep understanding of what is required by the surgeons who prefer to use our quality products. The company was established by a team of experienced medical professionals to fill the gap of advanced instruments for Minimally Invasive Surgery. A part of our vision is to prove to be a reliable industrial partner of surgical community to understand their needs and offer suitable solutions for improved clinical outcomes. GERATI is part of a family owned business of surgical instrument manufacturing which has now completed 43 years since its inception and has a global brand presence. We are part of a 45 years old family business of surgical instrument manufacturing. The business was started by our father Mr Mumtaz Bukhari in 1972 with the name of Metallic Products Corporation. Our team comprises professional engineers and product designers with years of diverse experience in the fields of electro-medical technology. We work in tandem with leading laparoscopic surgeons to realize their ideas and needs by innovating and enhancing designs that will serve them and, most importantly, the end user. We look forward to being of Service!!!! Our parent company, Professional Hospital Furnishers has been manufacturing surgical instruments since last 45 years. The idea to enter into more specialized and advanced surgery instruments had been brewing up but it was not until 2007 that this idea would fully materialize. 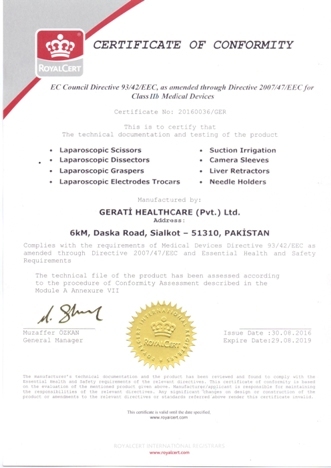 GERATI Healthcare is Pakistan’s first and the PIONEERING company which has designed and successfully developed advanced surgery instruments in the Minimally Invasive Surgery area. It was indeed a technological breakthrough in an industry which is still known in the world for low-tech general surgery instruments.In recognition of our company’s role in this advanced surgery instrumentation, we were selected for the Presidential Award for Excellence in 2015. Single-Use Sterile Laparoscopic Instruments are categorized in Class IIb as per European Medical Device Directive and as such are subject to a number of rigourous testing and Quality Assurance requirements. 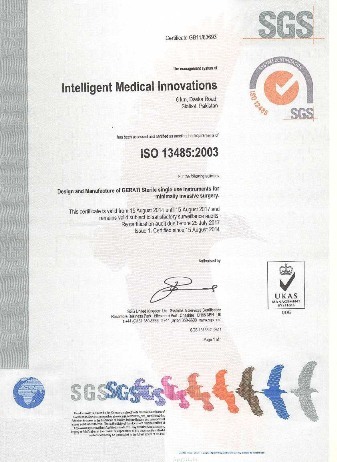 Our quality management system complies with the requirements of ISO 13485 and ISO 9001 quality management systems. 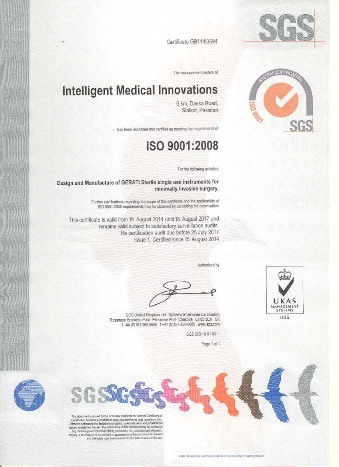 Production and quality management of our products complies with European Medical Device No 93/42 for CE mark. Below are some salient features of our Quality Assurance Protocol: • Product Technical Files according to Medical Device Directive 93/42 EEC • Manufacturing and assembly in ISO 7, Class 10,000 Clean room as per ISO 14644 • Risk Analysis performed according to ISO 14971. • Clinical Validations performed in accordance with CE requirements. • Electrical Safety Tests performed according to IEC 60601. • All instruments are tested against micro holes/porosities in insulation using Hi Pot tester. • Terminally packaged in sterile barrier system. • Heat Sealing process validation performed as per ISO 11607 standard. • Process Validations for Ethylene Oxide Sterilization performed according to ISO 11135 standard. • Use of Bio-compatible Materials as per ISO 10993 standard. • All instruments supplied with Instructions of Use as per CE mark requirements. • Product Labels in accordance with European CE requirements.